After Luke Cage makes his Marvel Cinematic Universe debut in Jessica Jones, he’ll star in his own Netflix series. While the show is still a long ways off, details have started leaking about who Luke might be facing off against in his solo adventure. Earlier this month, it was reported that longtime nemesis Cottonmouth may appear, and now it’s being reported that veteran TV actress Alfre Woodard may also play one of the villains battling the hero for hire. Luke Cage doesn’t have the biggest rogues gallery compared to other crimefighters, but if Woodard’s character Minetta is indeed a version of Black Mariah, she’s certainly primary villain material. 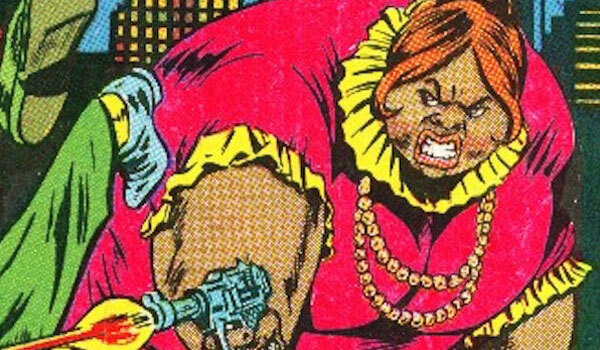 In the comics, Black Mariah is a notorious criminal that headed an unusual operation of using a stolen ambulance to pick up the bodies of rich individuals and steal whatever valuables were on their person. Luke broke up the operation, and Black Mariah later resurfaced as a drug dealer. Although she doesn’t have any superpowers, she is stronger than most humans and is also a skilled fighter. Obviously her MCU counterpart would look (and act) less cartoonish, but going off the description of Minetta, her criminal enterprise would instead be a discreet endeavor while her public persona pretends to have the best interest of her constituents at heart. This won’t be Woodard’s first superhero project, having previously voiced Dondi Reese and several other characters in the 2010 Black Panther animated miniseries. TV-wise, she has earned multiple Emmy nominations over the years and won three for her roles in Hill Street Blues, Miss Evers' Boys and The Practice, respectively. She was most recently seen in the short-lived NBC series State of Affairs as the President, and also has a recurring stint in the TNT series The Last Ship. While there’s no information yet on when Luke Cage will premiere, you can look forward the super-strong hero playing a key role on Jessica Jones later this year.